Ukrainian Philanthropic Marketplace is unique and convenient because everyone here can help those in need. From anywhere in the world - from Kiev, Lviv, Brussels or Sydney. The most convenient way. At any convenient time. This site does not shut down on holidays. There are no weekends and lunch breaks. We are doing our best to make sure that it takes you few minutes to donate and provides maximum benefit to those whom it is addressed. Not only money can be donated on our UBB site. If you like some particular Project, you may share its link in your account in social networks – it is easy and comfortable too. Or you may share a link any other convenient way. By doing this, you will share the information with your friends, thus they may support this Project too. If you are a journalist, write about a Project that is valuable for your media. If you are a blogger – share the information about a good Project with your audience. At the end, just tell about the Project to other people! Our site is based on the Web of Trust philosophy. Everyone can become an Advocate or an Inspector of the Project here. You can come to check the project to find out if it is really working and doing good. And then inform others of what you’ve seen, publish your own photo report or write in a blog. Spreading information about Ukrainian Philanthropic Marketplace and its charity Projects, you expand the Web of Trust, and therefore helping to solve someone's problem, to save someone's life. Trust of people is our highest value. These Terms and Conditions are obligatory for all users of the web-site “Ukrainian Philanthropic Marketplace” (ubb.org.ua). Charity Project is the main subject of charitable activity on the web-site of Ukrainian Philanthropy Marketplace. Operator of Help, the author of the Project, provides the total sum, necessary for realization of particular Project, and sums of particular Needs for every Project (further – Needs) too. 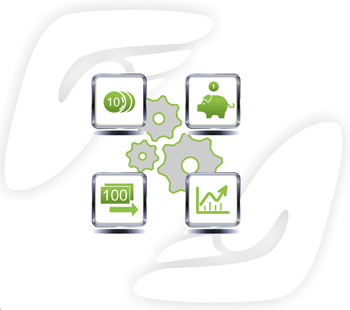 Operator of Help is obliged to provide true information about total sum of the Project and sums of Needs. 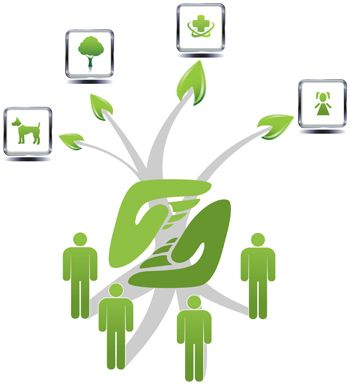 Users (further – Donors) on their own will define the amount of donation and Project or Need of the Project, which they direct particular donation on. After finishing the Project, Operator of Help should provide detailed report about use of money, raised with the help of Ukrainian Philanthropic Marketplace. Donations are transferred to bank accounts of Ukrainian Philanthropy Marketplace. If 100% of total sum or 100% of particular Need of the Project is raised, money are transferred to bank account of the Operator of Help. Ukrainian Philanthropy Marketplace informs Donors of particular Project about finishing of the Project or particular Need via publication of such information on the page of the Project and via e-mail, given by Donor during registration process. Unregistered (anonymous) Donors are informed about finishing of the Project through the information on UBB web-site. Ukrainian Philanthropic Marketplace also informs Donors of particular Project about finishing of the Project and provides detailed Report. Donor also can donate to “Category of the Projects” and/or to “Support of Ukrainian Philanthropic Marketplace infrastructure”. In case, when money are transferred to the particular category (Health, Education, Culture and Sports; Eco-projects, Like home..., My city, "Mobile Reserve fund"), they are accumulated in the bank accounts of ICF “Ukrainian Philanthropic Marketplace” and directed on particular Projects of the appropriate category by decision of Ukrainian Philanthropic Marketplace. If money is transferred to the support of Ukrainian Philanthropic Marketplace they are directed on the development of UBB activities. In the case of charitable funds raised for the Project and the Project is given the status "Completed", donations of Donors which continue to arrive are automatically redirected to the section "Projects' Reserve funds". Such Project's Donors are informed about the possibility to redirect these funds to another charitable project or "Projects' Reserve fund". If the Donor within 14 days did not provide an answer, charitable funds are directed to other projects or "Projects' Reserve fund" by the decision of UBB. If after 6 (six) month since the moment of publication on UBB web-site, the Project hasn’t raised 100% of the total sum, Ukrainian Philanthropic Marketplace can stop the raising process for this Project. In case of such decision, Ukrainian Philanthropic Marketplace informs Operator of Help – the author of the Project and all the Donors of this Project. After that every Donor has the opportunity to redirect its donation to any other Project on UBB web-site or to Category of the Project. If Donor hasn’t made a decision after 14 days since the moment of closing the Project, money is transferred to the appropriate Category of the Project. Money of unregistered (anonymous) Donors is transferred to the appropriate Category of the Project. Charitable donations, which come to the UBB bank account without purpose (for example, are not specified: order number and/or name of the Project and/or the recipient of charity care, etc. ), or the information provided is not enough to identify the purpose of the donation, they are transferref to the statutory activities of UBB and reflected in the general list of UBB Donors. The main aim of UBB is to make charity donations comfortable and possible for every person. We permanently work on the opportunity to provide you with different variants of payment. You can pay by cash in any bank. In the nearest future there will be available payments from cell phones, i-boxes or cash-machines. 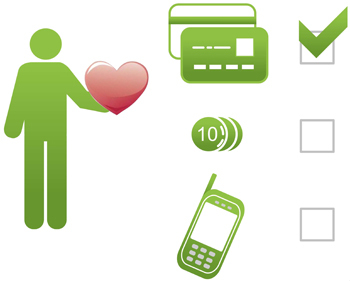 At present you can support any charitable project via your credit (plastic) card. All cards of Ukrainian, CIS, European and most of American banks are available to pay. Press the button "Donate" on the page of the chosen Project – you will see the insert "Payment Form". Just input the sum, you want to donate (there is Ukrainian gryvna equivalent on the web-site, minimal payment is 1 UAH). After inserting of money just press the button “Donate”, input your name (or nick-name, or just leave this field empty to donate incognito). LiqPay page will open. You should input bank details of your card, such as its number, validity date, e-mail (processing requirement) and cvv2 of your card (the last three number on the back side of your card). If the payment was successful, you will see your name (or nick-name) and sum of your Donation in the Donors list of the Project. 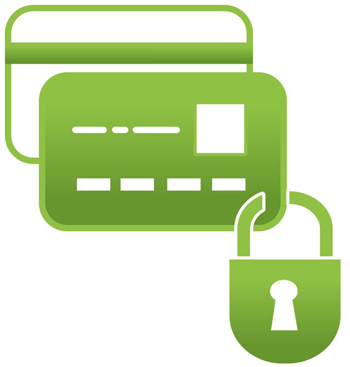 Important: some banks can make your card available for internet payments only on your request. In case, when you are not sure whether your card is open to internet payments, please, contact your Bank service (via Support Service phone number, defined on the back side of your card). In general, to open your card for one or several transactions you just need to call to the bank and say about your will to pay. In a minute this service will be available for you. If you would like to make this service available on permanent base you suppose to sign additional agreement with your Bank. The size of bank fees and payment system commissions for the payment depends on payment method that you choose. Commission charged for Visa and MasterCard holders issued by Privat Bank is 0% for Visa and MasterCards issued by other banks it is 1.8%. The amount of commission for payment by card issued by Privat Bank will be added to a charitable donation for the project that you support. We are thankful to you for reading this text till the very end. We hope that it will make Donations process easier and comfort for you.